We have many TV mounts available for all standard, projector, LCD, and plasma televisions. 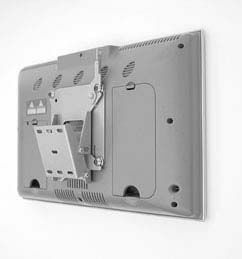 These mounts, including the more popular Chief mounts are an innovative way to securely, safely, and affordably hang your television sets from the wall, ceiling, or another creative location. As a nationally recognized store, StandsandMounts.com is the place to shop for all of your stylistic television mount needs. While shopping for the lowest price is good it is also important to select durable, high quality mounts to ensure the security of your TV set. By selecting a Chief plasma TV mount, you are trusting only the best to support and mount your expensive, high quality, flat panel television. And with out Price Match Guarantee on select items you will always get the best price at StandsAndMounts.com. You may think that one mounts fits most, but truth be told there are many different types of specially designed mounts to secure your monitor or flat screen TV. With so many selections available, you are able to select the specific mount that is perfect for your decorating plans. Whether it is the ceiling, pole, or wall mounting we have the best solution for you. These applications come in a variety of options, which allows you to determine the most secure mount for your TV. At Stands and Mounts.com, we are available to help you select the proper Chief flat screen monitor TV mount for you. Our qualified sales staff can answer any questions you may have about our full line of mounting solutions, to find the one that fits you best. For added convenience we also carry component, projector, and speaker solutions and accessories to complete the entertaining area. If you are looking for a brand besides Chief, StandsandMounts.com carries a variety of different manufacturers. Some of our other name brands include: Peerless, Crimson, OmniMount Vantage Point, Premier Mounts and Ergotron. StandsAndMounts.com invites you to browse our site to find your perfect mounting solution. Shop with us today, and be on your way to a stylish and sleek entertainment area tomorrow!